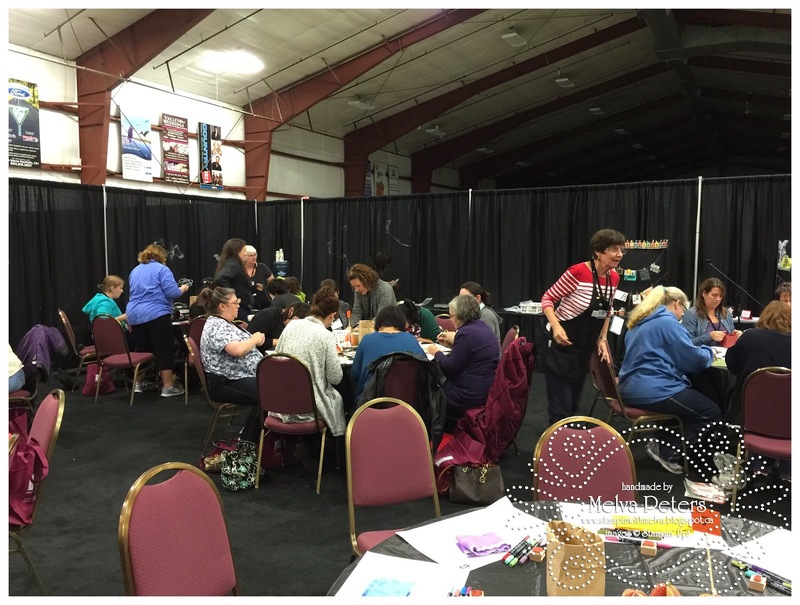 I had such a fun time at the Fall Conference last weekend that I wanted to share some my photos with you. I had the opportunity to volunteer for the entire conference - helping with Make and Take's and also doing a "show and tell" about Project Life. 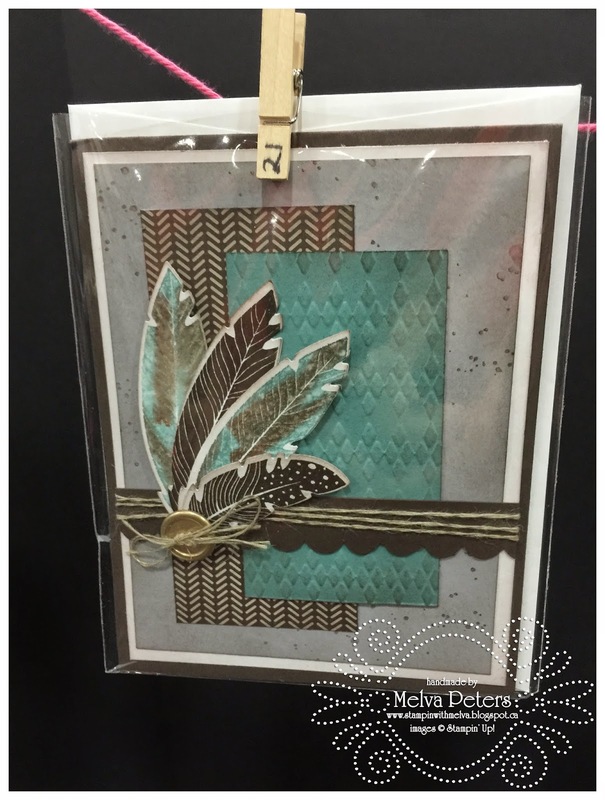 As always Stampin' Up! puts on wonderful events - this one was a little different as it was organized by the Canadian office in Calgary and used lots of BC Demonstrators to help out. A few pictures from the event to share. 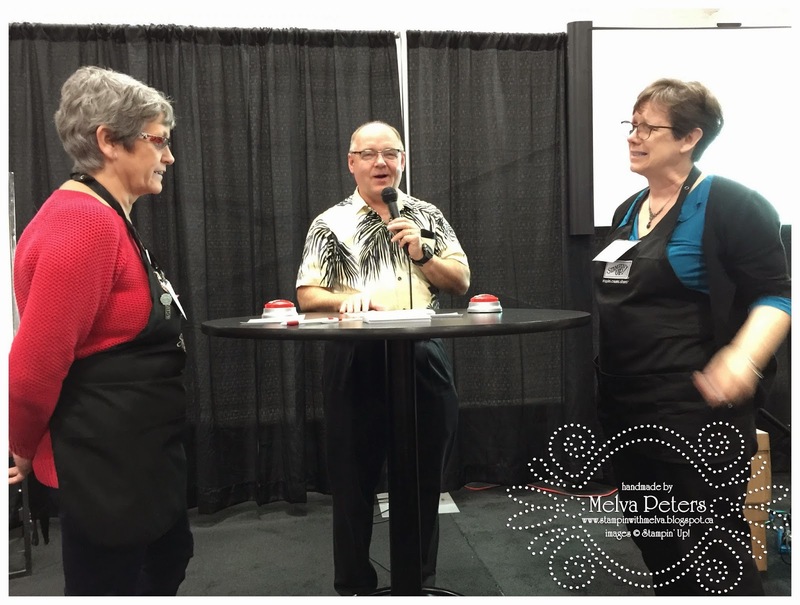 We played a very fun game "Let's Make a Deal Jeopardy Feud" - Dale Hampshire (Manager of Stampin' Up! Canada) was a wonderful host! Here's my friend Diane Evans (on the left) answering a question. I made a deal for some cardstock and a punch and my team won free product! We had such a fun time! Here's some of the projects that were on display. So cute! I love this stepped card made from Holiday Home. There was also a card contest for Ronald McDonald House Charities. 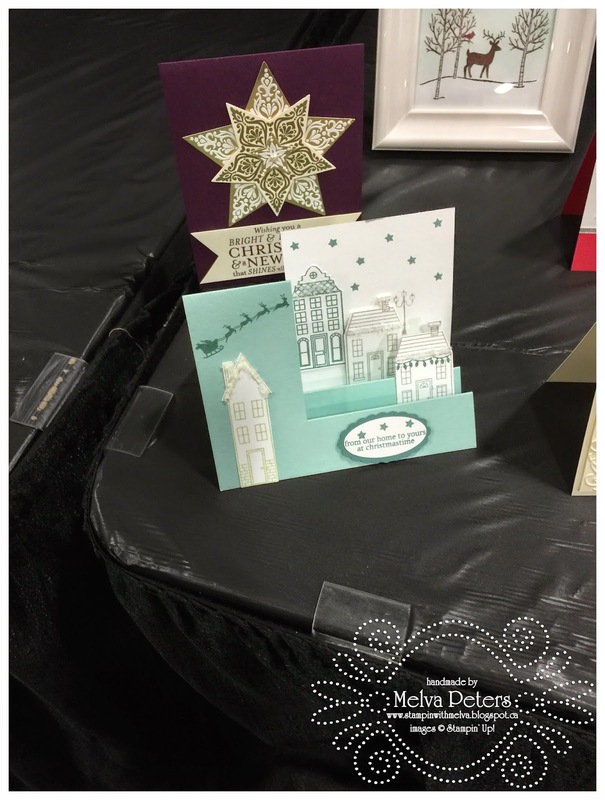 My friend Ginny won with this beautiful card! It was even more stunning in person! If you'd like to learn more about why I love being a demonstrator, email or call me. There are so many benefits and one of the ones that is most important to me is the community of friends that I have made. I got to spend time with some of those ladies this weekend and also has a chance to make new friends! 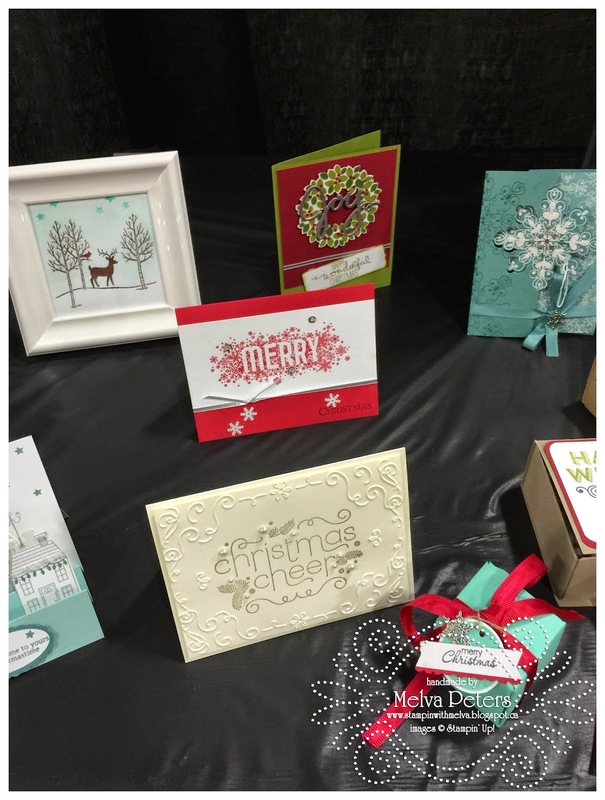 Don't miss out on the Weekly Deals from Stampin' Up!